Frustrated residents on West 5th street in Bensonhurst, Brooklyn are still waiting for their street to be plowed. It's been four days and Dan Conboy said he couldn't make it to work until Thursday. The only clean areas of the street are parts residents cleaned themselves. "It's been crazy. I mean we're talking about 4 days now, it's been, since the storm. So we've had no plow, no anything. I wasn't able to get to work until today," said Conboy. One distraught neighbor told us his aunt had to miss her chemotherapy treatment because her car service couldn't get down the block. "We had to walk all the way down there with her without her maybe catching a cold or something, or maybe getting sick because of the cold weather," said Breen. Frustrated residents on west 5th street in Bensonhurst, Brooklyn are still waiting for their streetTo be plowed. It's been four days and Dan Conroy said he couldn't make it to work until Thursday.The only clean areas of the street are parts residents cleaned themselves. The mayor has said all New York City streets have been plowed except for those blocked by cars. 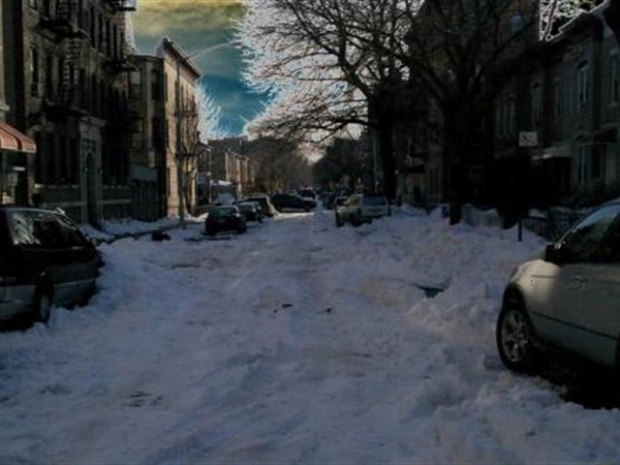 Our viewers tell a different story sending in photos of streets unplowed in Brooklyn and Queens. What's infuriating many residents are the claims that this was an intentional slowdown by sanitation workers. In just a few days 100 supervisors are reportedly to be demoted in a cost cutting move by the city. "Their mission was to send a message to city hall to say you need your supervisors out there to get this done, but now the city council is going to have to hold hearings," said Queens City Councilman Dan Halloran. Henry Nespoli of the Sanitation Workers Union flat out denies this claim. "We didn't do it as quick, but we didn't come across obstacles we came across in this storm," said Nespoli. Governor Patterson said he plans to open an investigation into the alleged slowdown. The city is also investigating. City council plans to hold a hearing January 10th.